So here's a really annoying one and it has to do with printers. Of course right? It always printers or DNS. ALWAYS. 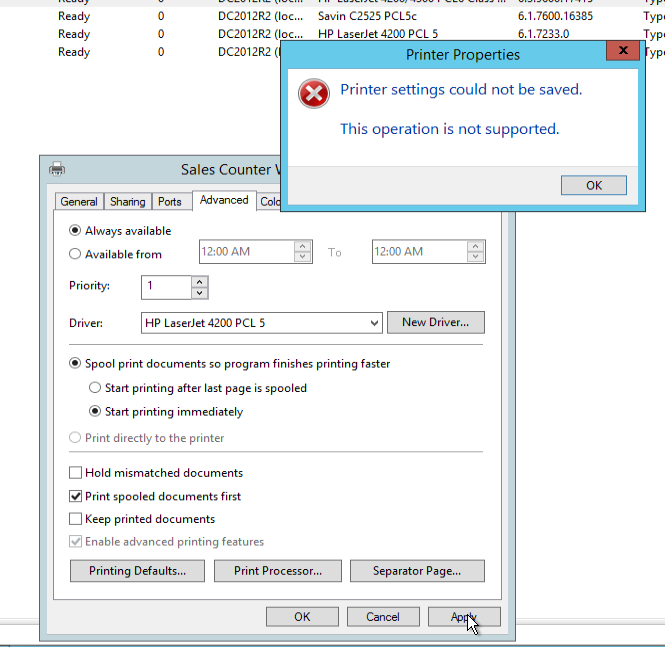 "Printer settings could not be saved. This operation is not supported." After some digging around, I was able to find the culprit. 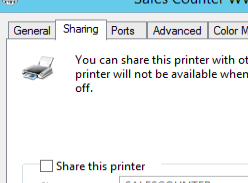 It's because there is little box that's ticked called "Share This Printer" under the Sharing tab. 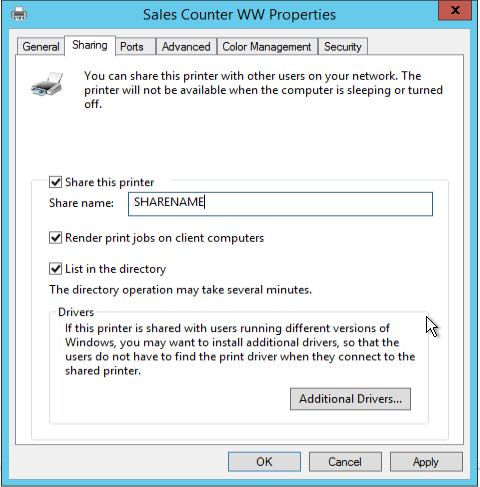 Untick that box, click apply, install your new driver, then go back and tick that box again. Also make sure you tick the box to List in the directory again if you had that on too because it gets turned off by default when you un-share it.